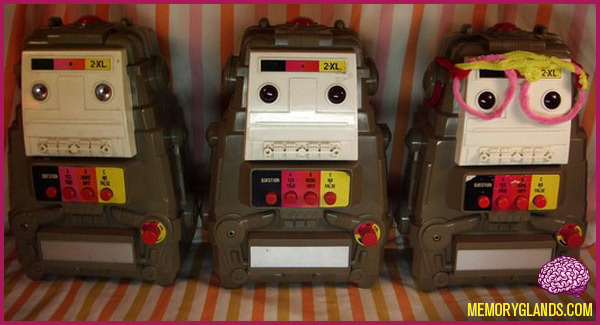 2-XL was an educational toy in the shape of a robot that was introduced in 1978. 2-XL was the brainchild of Dr. Michael J. Freeman, who felt that toys should be both fun and educational. The toy was interactive, playing various tracks from a magnetic audio tape depending on the user’s actions. The toy was released in two different time periods. The 1978 release was produced by a toy company called Mego Corporation, and used 8-track tapes. It was brought back in 1992 by Tiger Electronics in a version that used cassette tapes rather than 8-Track.